Recapitulating, a decade of experience with older people has revealed significant evidence of the efficacy of psychoanalytically oriented treatment of this age group by group psychotherapy. An effective psychotherapeutic relationship can be established in a relatively short time. Limiting the age range of this group during the initial treatment tends to avoid destructive, transferential relationships fostered by the presence of younger (“child”) persons. The older person does not have to defend himself as a “parental figure” but is allowed to relate to peers. Such a constellation offers members of the group additional identification with one another and facilitates awareness of individual, as well as mutual, reactions in multiple transference relationships. Initial reactions by isolated individuals are supplanted by emotional interactions with others, resulting in the formation of a psychotherapeutic process within a functioning group. These changes initiated by imitation of the therapist soon develop spontaneously. Manifestations of ego strengthening and reconstructive psychotherapy may be observed in overt behavior, in transference interactions, as well as in dreams described and associated to by the patients. The major psychotherapeutic forces in group psychotherapy are the opportunity for development of multiple transferences and the confrontation of the patients with reality factors. The interactions within the group psychotherapy process tend to activate the production of awareness of the dynamics of the respective disturbances in the individual members of the group. The awareness and the working through within the multiple transference relationships allow for healthful modification of long-standing attitudes and modes of reaction. Most emotional problems of the older person appear to be a perpetuation of early conflicts. The exacerbation of these conflicts tends to result from the decomposition of earlier defense mechanisms, such as reaction formation and compensation. 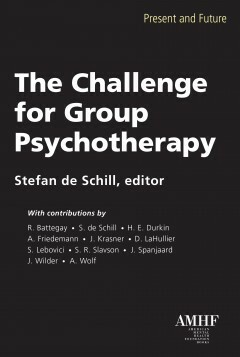 The results of the group psychotherapy experiences with older people present significant evidence of the value of this technique in preventing mental illness as well as in aiding individuals with emotional and psychological problems. Busse, E. W. (1955), Treatment of the non-hospitalized, emotionally disturbed person. Geriatrics. 11: 173-179. Ebaugh, F. G. (1956), Age introduces stress into family. Geriatrics. 11:146-150. Fink. R., Shapiro, S., Goldenson, S. et al. (1969), The filter-down process to psychotherapy in a group practice medical care program. Amer. Public Health, 59:245-257. Goldfarb, A. I. (1955), Psychotherapy with aged persons; patterns of adjustment in a home for the aged. Ment. Hyg. 39:609-621. Gronewald, T. W. (1956), Involutional psychotic reactions. .J. Lancet. 76:8-10. Grotjahn, M. (1955), Analytic psychotherapy with the elderly. Psychoan. Rev. 42:419-427. Kahn, E., Fisher, C., and Liebermann, L. (1969), Dream recall in the normal aged. J. Amer. Geriat. Soc. 17:1121-1126. Kopits, I. (1970), Observations on 750 geropsychiatric patients. J. Amer. Geriat. Soc. 18:353364. Krasner, J. D. and Marks, M. (1966), The psychoanalytic treatment of the elder person via group psychotherapy. II. Anxiety reaction precipitated by threat of separation or object loss. Presented at the annual conferences of the American Group Psychotherapy Association, Philadelphia, Pa.
Linden, M.E. (1953), Group psychotherapy with institutionalized senile women. Study in gerontologic human relations. Internat. J. Group Psychother. 3:159-170. —- (1955), Transference in gerontologic group psychotherapy. Internat. J. Group Psychother. 5:61-80 . —- (1956), Geriatrics. In: The Fields of Group Psychotherapy, ed. S.R. Slavson. New York: International Universities Press, pp. 129-152. Pfeiffer, E., Vervoerdt, A., and Wang, H. S. (1968), Sexual behavior in aged men and women. I. Observation on 254 community volunteers. Arch. Gen. Psychiat. 19:753-758. Stern, K., Smith, 1. M. and Frank, M. (1953), Mechanisms of transference and countertransference in psychotherapeutic and social work with the aged. J. Geront .. 8:328-332. Wayne, G. J. (1955), Modified psychoanalytic therapy in senescence. Psychoan. Rev .. 42:419427.